Last fall Shakirah Simley and I created a back page for the Food + Home section of the San Francisco Chronicle on the terrifyingly real idea of what finding Sanctuary means, both in the food community and these politically tumultuous times. 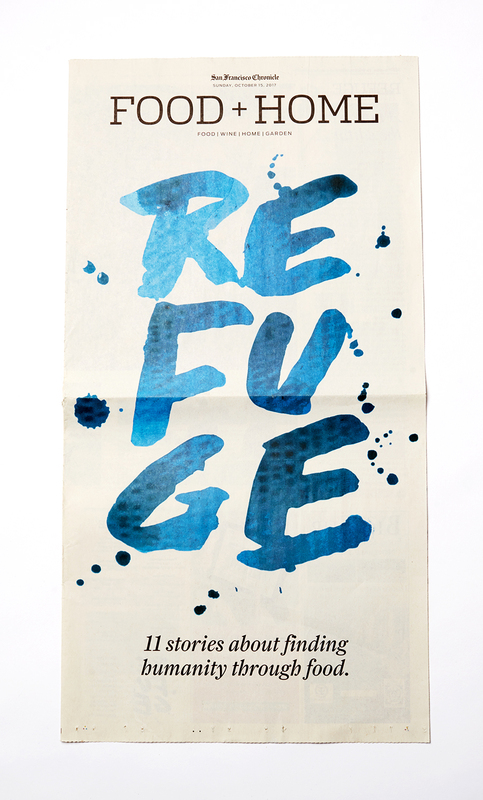 This 16 page feature investigated what “refuge” and “sanctuary” means to the people involved in the San Francisco food community. This feature interviewed people in various capacities, discussing everything from fear to comfort. 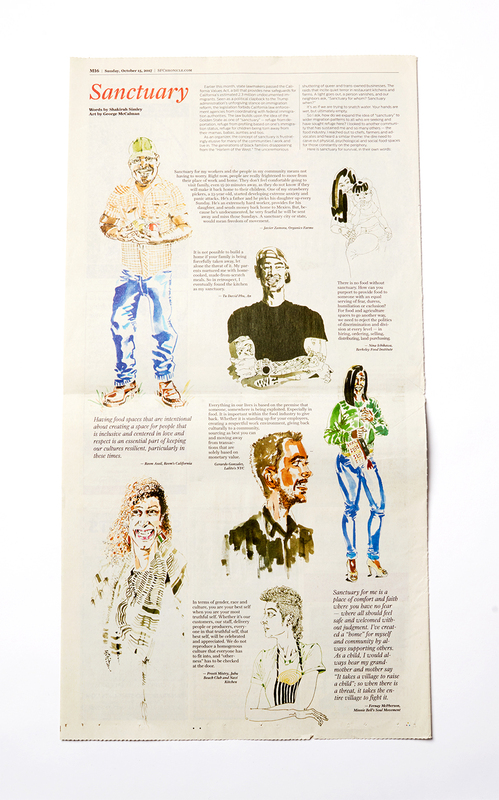 I designed and handprinted the cover and illustrated the featured interviewees.